Twitter. Tweets. Twitosphere. These are strange words that used to not exist, at least not in the conventional usage. But now, it is such a natural part of being on the Internet or your phone that Twitter has become an acceptable news source and celebrities and brands are using it as a way to release information. Your pizzerias are being talked about on there. So, why aren't you tweeting yet? Of a sample 668 subscribers, 387 of you were not on Twitter and 281 of you were. That is about 58% not tweeting and 42% of you on Twitter. Right? About 95% of you are mentioned on Twitter whether you are on there or not. Any time someone eats at your pizzeria, there is a chance they can check in on Yelp or FourSquare or FoodSpotting and those check-ins and reviews can be tweeted out. Also, people are posting about the place they are eating directly to Twitter. When looking up all of the 668 subscribers, we read lots of positive glowing reviews, reviews that many of you won't see. So why not be part of the conversation about your own pizzeria? It also helps to be there when someone bad-mouths you so you can help cut down on the bad press. 1. Customize! Create custom backgrounds, choose an interesting profile picture (avatar) and be descriptive as you can in the "about you." Don't just say you are a pizza shop. Where are you? What is your website? Are you an award winner? Provide something unique? Tell us! 2. Tweet! It's easy to say be engaging. But what does that mean? Vary your content, provide links, photos and more. Don't just tweet "we're open" but tell us why we should bother caring to go to your pizzeria. Developing a Twitter personality takes a little time but unlike Facebook, you can screw up a lot more by overtweeting and no one will give you too much shame about it. 3. Follow! OK, here is the catch. You should find friends and follow them and then see #2 to involve them and have them follow you back. Sure, it is fun to follow celebrities but don't go too crazy following people and then be that guy with 3 friends and following 2,000 people (we call those spammers). If people follow you and they have an avatar (profile picture), don't seem to be spamming people and are engaging, don't be too cool and not follow back. I personally think it looks worse to have 2,500 people following you and you follow 8. Jerk. 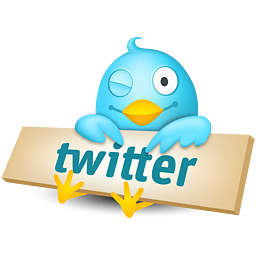 Bonus tip: Use tweepi.com to clean up followers who are not active on Twitter. 4. Service! You should tweet as your business or if an individual is tweeting for the business, make it clear that this is a professional profile. Don't bring your personal politics or hang-ups about people into it. Keep it upbeat and remember that Twitter is a tool for your customers to chat with you. Provide customer service. If someone has a problem with you, calmly talk through it with them and take it offline if you need to do so. But if it is a problem you can solve easily and do so on Twitter, it shows to the world that you are there to help your customers. 5. Get advice! Be sure to check out Mashable's guidebook. It is the go-to guide on anything Twitter. They have so much more detail on every question you may have. Twitter has it's own Business Best Practices list that you should check out and when you are on there be sure to Tweet at us at @pmqpizzamag. Already on Twitter and we are not following you back yet or just starting a new account? Let me know in the comments below so we can follow you on your Twitter journey!